This time, the suit was brought against a Rochester, N.Y. man named Jeff Rogers, who operates the website thebestofphoenix.org. According to the lawsuit, filed in the U.S. District Court of Arizona, Rogers was using the site as a directory of top-rated businesses in Phoenix and asking companies to pay an annual fee to be on it. Lawyers for the Phoenix New Times claim in the lawsuit that this violates the company’s 13-year-old federal trademark on the term “Best of Phoenix,” which it uses as the title of an annual issue highlighting outstanding businesses, people and events in the area. Under the registration through the U.S. Patent and Trademark Office [pdf], Village Voice Media has the exclusive right to use the phrase in connection with lists of businesses and services. The newspaper and VVM are demanding that Rogers take down his website, give them any profits he made off of it and pay as much as $100,000 in damages. At least the first of the newspaper’s demands may have already happened. On Friday morning, Rogers’ website was fully functional. It told visitors to nominate companies for the list by sending an email. “The Best of Phoenix site was designed to give you listings of the best services in Phoenix from reputable companies,” it said. But then Heat City sent Rogers an email asking for comment on the lawsuit. Sure enough, the website had been taken down. 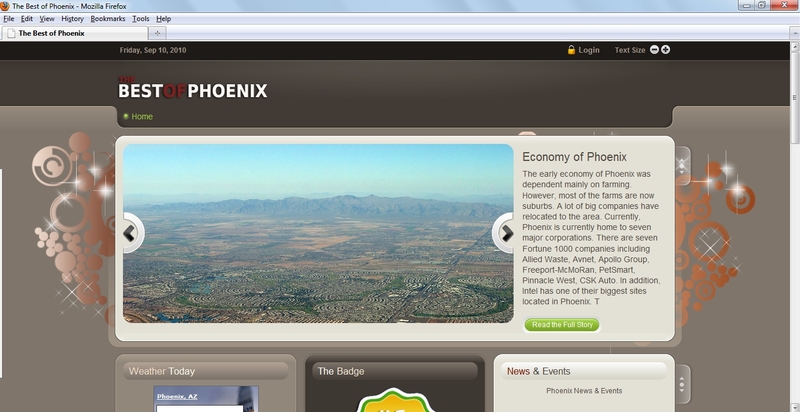 Before it was pulled, however, Heat City was able to take a screen grab of the home page. In subsequent emails, Rogers said he removed the site when he found out about the trademark. The lawsuit, however, shows that Rogers likely knew about the trademark more than a month ago. He was contacted on July 26 by a lawyer from Village Voice Media, telling him that the site was breaking the law and demanding it be taken down. The home page for Rogers’ company, Webniche Marketing, shows that it operates other similar sites such as thebestofsyracuse.org and thebestofalbany.org. None of those websites appear to be in cities that have other Village Voice newspapers. The new lawsuit comes on the heels of a similar suit filed by the newspaper a week ago. In that case, the New Times accused a former employee of buying the domain names bestofphoenix2011.com and bestofphoenix2012.com and attempting to sell them back to the newspaper for a higher price, a practice known as cybersquatting. Both lawsuits land just weeks before the newspaper is scheduled to publish its 2010 edition of its Best of Phoenix list, which it is already heavily promoting with billboards and other ads. The annual publication is a lucrative one for the newspaper, with the print edition packed thick with ads from local companies. The same formula, complete with trademarked names and branded websites, is used by Village Voice-owned newspapers all across the nation. The thing about trademark registration… is that it’s hard to fight. It’s really not a great idea to ignore a “demand letter” from an attorney. 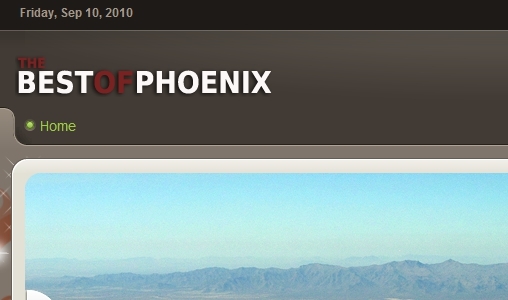 As for suing PNT claiming that “Best of Phoenix” is misleading: Good luck on that. PNT registered the trademark 12 years ago. It’d cost some damn fool a fortune in legal fees to challenge it, and they’d lose.